All boat owners know that maintenance is the key to a long and happy life with your boat. But trailers so often go overlooked in the maintenance stakes. Often, that can have serious consequences. There are a few reasons why boat trailers require maintenance. First, they are subject to all the same conditions as your boat is. That means saltwater, roads, and long periods sitting in the shed. But, unlike your boat, trailers are often made of steel. Sure, it’s galvanised. But it’s still susceptible to rust, unlike aluminium. And given that your trailer has to car hundreds – sometimes thousands – of kilos down the highway, rust is a big issue. 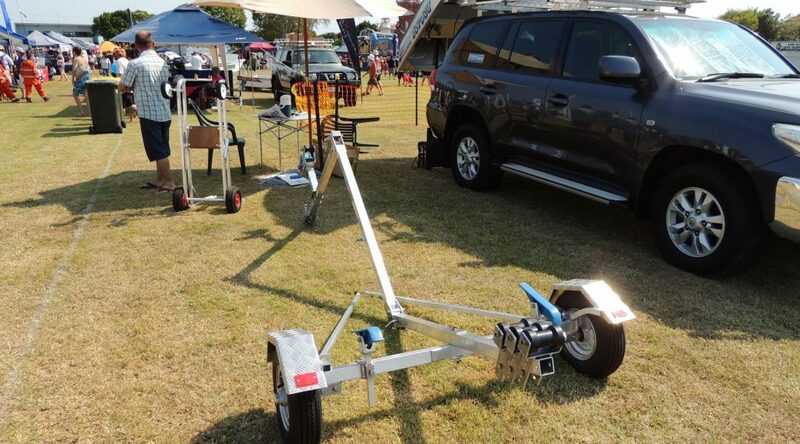 Luckily, with these boat trailer maintenance tips, you can avoid it! Before we get onto rust, let’s take a look at something even more pressing: wheel bearings. Wheel bearings have a shelf life, and it’s not always as long as you think. Generally, you should be checking and changing your wheel bearings about once a year. The reason is simple: wheel bearings rely on a very delicate balance. Even a misplaced grain of sand can cause them significant damage. And if the worst case scenario of a collapsed bearing occurs, you might find your trailer speeding down the road one wheel short! Sure, it’s a messy job. But wheel bearing maintenance is important on all boat trailers. If wheel bearings require such clean conditions, how can you possibly keep something as small as a grain of sand out? Easy: with good seals! Seals are part of your bearing assembly, and they are responsible for keeping the grease in, and the grit out. However, seals also have a shelf life. They can deteriorate, harden, crack, and perish if left without proper maintenance. So when you’re checking your wheel bearings, be sure to pay attention to boat trailer seal maintenance as well! Once your bearings and seals are taken care of, it’s easy to leave it at that. But there’s one last part of the wheels to look at – tyres! Taking care of trailer tyres is important. Unlike car tyres, you won’t feel much in the driver’s seat when a trailer tyre goes flat. That means serious blowouts are a possibility. Fortunately, tyre maintenance is easy! First, check the recommended pressures on the sidewall of the tyre. Then, fill the tyre to those pressures. Finally, check for any obvious damage. With those boxes ticked, your trailer tyres are good to go! If there’s one part of a trailer that seems to go the most frequently, and randomly, it’s the electrics. And honestly, it’s not hard to see why. Submerging electrics in saltwater regularly is always going to take a toll, no matter how good they are! Fortunately, there are some ways to reduce damage. First, contact spray. Spraying terminals with contact spray and plugs with water dispersant will help fend off the water. Then, there’s trailer maintenance: make sure you give everything a thorough rinse in freshwater after every trip. What sort of maintenance does your trailer need when rust starts to show? Professional maintenance! Now let’s address the big one: rust. If your boat trailer is developing significant rust, what maintenance does it need? Professional maintenance! Rust can be terminal, and stopping its spread requires expert knowledge and equipment. Sometimes, though, it might be time for a new trailer. Either way, speak to the experts at Almac Trailers and find out your options. Previous PostBoat Fitting Out Ideas – Increase your Comfort and Catch More Fish!